The culinary arts sometimes get lost in the maelstrom of film, music, literature and other mediums of expression, including the forging of a national identity where cuisine is often homogenised with other regional variations (as it is perceived among the white West). Food is so much more than this, though: it is a labour of love, a fragrant harmonium of the senses, a powerful trigger of long lost memories. It brings all manner of people closer together and transcends language and national barriers. These are all the things sumptuously captured in Eric Khoo’s latest; a film which, since premiering at this year’s Berlin International Film Festival, has extensively toured the circuit and has won a whole heap of praise. ‘Ramen Shop’ (or ‘Ramen Teh’) may boast similarities to other soul-searching journeys committed to screen, but triumphs in its total embrace of its key palate-pleasing ingredients. After the sudden death of his chef father, Masato (Takumi Saitoh) discovers a suitcase overflowing with memories shared by his Japanese father and his long-deceased Singaporean mother. On a whim, Masato travels to the former Japanese colony to seek out the places held dear by his parents and to discover the secrets of a recipe made famous by his maternal side from his uncle (Mark Lee). With the help of food blogger Miki (Seiko Matsuda), he comes to fully understand Singaporean cuisine and seeks to rekindle the love his grandmother lost for her daughter as a result of the choices she made prior to her death. Throughout his journey, we are treated to various flashbacks developing the pseudo-forbidden romance between his parents (joyously played by Tsuyoshi Ihara and Jeanette Aw). 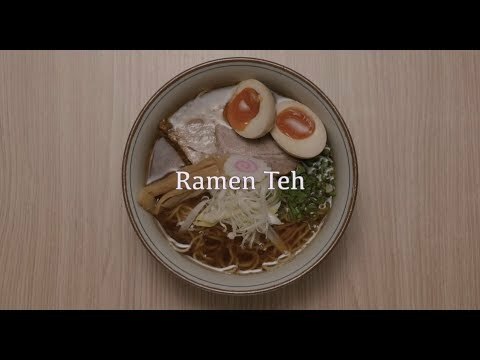 While it has the potential to render it an oversentimental family-friendly drama, Khoo’s direction makes sure ‘Ramen Shop’ never reaches this level. The romance which brews between Kazuo and Mei Lian, whilst sickly sweet at times, is touching and heartfelt at its best yet aimed at a youthful audience. Perhaps what makes it so tender is the breaking down of the language barrier between the two, through their shared passion for food. Their broken English is transcended by the array of dishes presented and cooked for them throughout their screen-time together. But it’s not just with these two Khoo masterfully brings in under his control: the seeming overcoming of Masato’s ignorance of the Japanese occupation is served as potential fodder for the “finding-onself” trope these types of films seem to offer, and his relationship with his grandmother is handled befittingly within the grander scope of the film’s culinary universe. It’s not just in the prevention of Sparks-esque tedium where Khoo’s talent as a director shines: his treatment of the whole narrative is mature enough to appeal to a more esteemed audience yet playful and accessible enough to please a far easy-going cinema-goer. The role of memory isn’t downplayed as an afterthought or utilised because the plot beckons it: though necessary to fuel Masato’s desires, the relationship between food and memory feels natural; the feeling of home, of mother’s cooking, is a thoughtful addition in carving out the path ‘Ramen Shop’s narrative takes us on. It provides a much-needed depth of character, giving the film a firm set of legs to stand high and proud above its peers. And just as much as Masato’s friendship with Miki grows, so too does our fondness for the progression in the story. It does have its setbacks – Masato’s night of overdramatic drinking for instance seems very hackneyed, and the short time it takes for Masato to master Singaporean cuisine – but they are few and far between and have very little impact over the pleasurable feel-good elements the film serves up. Of course, the selling point of ‘Ramen Shop’ is the food and is by far the film’s greatest triumph. Frame-upon-frame of lovingly prepared dishes fills the screen in all their fragrant glory, becoming even more important than the human cast itself, taking on a meaning of their own. The cast manoeuvres around their culinary counterparts with great attention to detail and leave no ingredient or component go to waste. Foodies (and many cinephiles) will no doubt consider the rest of the plot secondary to the epicurean delights which no doubt steal the show – with films following a similar narrative, especially in Japan, this so-called passion/obsession/interest comes across as gimmicky and forced, its inclusion demanded whenever the plot beckons it; subverting this trope and reversing its position makes for a very welcome and superior change. The centrepiece of this warm and inviting film, the variety of dishes on display and prepared seemingly before our very eyes are brought vividly to life by cinematographer Brain Gothong Tan, who also perfectly illustrates the vulnerability of the characters, particularly moments between Masato and his grandmother. Well-paced and thoughtfully edited, creating a perfect balance between past and present, it ultimately becomes a feast for the senses to witness; no sequence outstays its welcome does enough to keep its audience satisfied and amused. The invaluable consultations from chef Keisuke Takeda and Dr Leslie Tay help craft a world where the kitchen comes out on top, where the power food possesses is let loose whilst its well-directed human components have no choice but to give in to its pleasing succulence. Caring to the core it is impossible not to be swept up by the flavours coursing through its soul; it feeds the heart as much as it does the stomach. A perfect way to close the festival.